Caldwell & Johnson Custom Home Builders and Remodelers is a Nationally Recognized Leader in Environmentally Sustainable and Energy Efficient Building. Established in 1968, Caldwell & Johnson Combines the Best in Traditional Craftsmanship with the Latest Innovations in High Performance Sustainable Building. Matthew R. Doyon, Founder of MRD Woodworking, LLC which is a Custom Woodworking and Construction Company specializing in all of your woodworking and building needs. We have 20 plus years of experience in the construction and woodworking fields. Our company puts an Emphasis on Quality and Fine Craftsmanship. MRD Woodworking works one on one with Homeowners, Contractors and Architects, to achieve your woodworking goals. MRDW is a South County based woodworking company that put an emphasis on QUALITY. 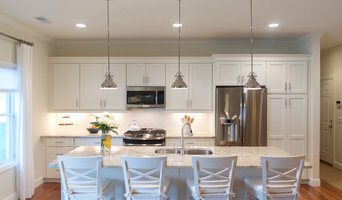 Specializing in all phases of Construction, Cabinetry and Interior Finish work. Take the time to visit our Web site and consider MRD Woodworking, LLC for your next woodworking project. 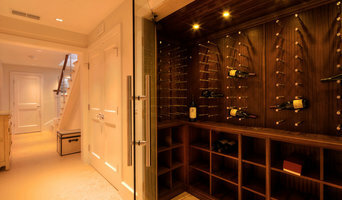 We are a custom design building company who brings the highest standards and a distinctive, sought after reputation in luxury homes. 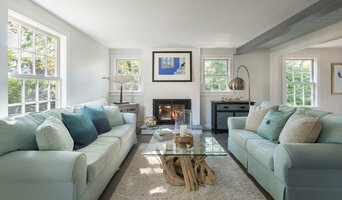 Horan Building Company has constructed more than 170 houses on Aquidneck Island, applying the highest standards of quality, innovation and craftsmanship. We design, build and renovate homes for people with refined tastes. Our clientele seek artful composition and luxuriant aesthetics while maintaining an acquainted comfortability and serene environment. Our team does all of our millwork in house, from artistic architectural columns, majestic coffered ceilings to distinguished staircases with uniquely designed banisters and balusters. We take pride in doing all of our own framing, custom cabinetry, finished carpentry, copper and tile work in house as well. Our knowledge of traditional design and contemporary innovations encapsulates our unique ability to construct a house of heirloom quality, with energy efficiency and advanced home technologies. We dedicate ourselves to a strong communicative collaboration with each individual client to ensure that his or her expectations are exceeded. Our employees’ have a thorough understanding of sequencing, strategy and implementation with each project being worked and nurtured from office to field. We will create a highly organized process that will achieve truly outstanding results. Horan Building takes great pride in propelling our customer relationship far beyond a handshake. Our warranty goes beyond paper, our warranty is our word. from [in] form is a unique practice focused on affordable and innovative design coupled with sustainable building practices. from [in] form is a practice of discovery, a field in which located relationships build. As Designers, Builders, Contractors, Educators, and Artists our work has a holistic approach sustained by a communication between the client and the work. Our core belief is that everyone deserves design, where no project or budget is too small in order to better an environment for inhabitation and one's well being. ESHI: Excellence, Service, Honesty, Integrity. Winner of the Doris Duke Historic Preservation Award. We are a full service general contractor with vetted subcontractors in every field. We provide every service related to building and repair, and we get the job DONE on time, in budget. New construction, renovations, additions, basement build-outs. We don't shy away from small jobs if that 's what you need. Kitchens, Baths, Custom Cabinets HVAC, Plumbing, Electrical, Audio/Visual Painting, Interior Trim & Finish Work Tile Work, Hardwood Flooring Site Work and Foundations Geothermal Heating & Cooling Solar Paneling Wells Filtration Systems Landscape Architecture Insulation Masonry Windows Doors Siding Roofing, including metal Elevators How We Got Started Edit I wanted to bring a new level of quality service to the construction industry. All too often I heard complaints about contractors failing to return calls and emails, failing to show up to meetings or to be on time. I wanted to change that. ESHI returns calls and emails and excels with time management, project planning, and execution. The most important thing we build is relationships.